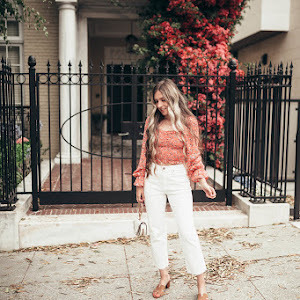 I've been getting a lot of questions about my hair and what products I use, so I decided to incorporate more posts about beauty / hair routine. I've been blonde since 8th grade, and as you can imagine I have used so many different hair products. There are some that I swear by and others I would never use again. 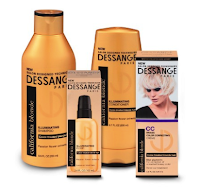 I wanted to share a new product that I have been trying over the last couple of weeks: DESSANGE Paris, which is only available at Target. They have five different collections to choose from but I went with the California Blonde Collection. If you are not a natural blonde you should be pretty familiar with your color fading and losing its shine. I'm a huge fan of the purple shampoo, but it is very drying on my hair and does make my strands pretty weak. For those of you who do not know, purple shampoo is a quick fix to brassy hair tones and fading blonde color. The Blonde Collection was exactly what I was looking for. The shampoo and conditioner are moisturizing and brought the shine back to my hair. The real winner in the collection is the Brass Color Correcting Creme, which is a weekly in-shower treatment with Linseed oil and blue pigments to nourish and neutralize brassiness. 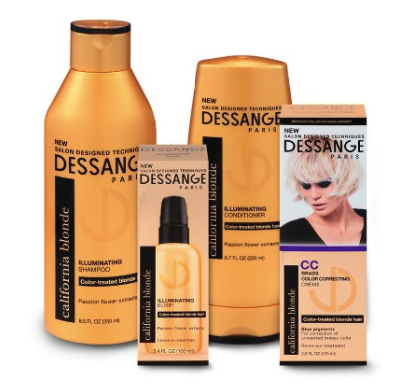 After using these products I feel like a radiant blonde again and find that I can go a little longer without getting my hair retouched. Overall if you have fragile dry hair but want the shine and color back this is the collection for you! PS It leaves your hair smelling great!